Never easy to fade 2nd year Chiefs HC Reid on the road, where he is 11-1 ATS in the regular season coaching Kansas City! That is an extension of one of the best road records for any coach in the NFL. No doubt the Chiefs have been a hot team, covering 7 straight games against the opening line, since their opening week misstep at home against Tennessee. It is shades of the KC hot start last year from which KC plummeted in the 2nd half of the season. KC had an undeserved cover in their 24-10 win last week against the Jets. They were outgained 364-309 and allowed the Jets 139 overland. Combined with the previous weeks’ 34-7 laugher over St. Louis, there is surely a bit of over confidence as they take to the road. In fact, road teams who allow 10 or less at home in their previous game are just a 33% play the following week. With a home game against defending Super Bowl champ, Seattle, on the horizon next week, this is an ideal sandwich spot. QB Orton has under the radar QB efficiency. 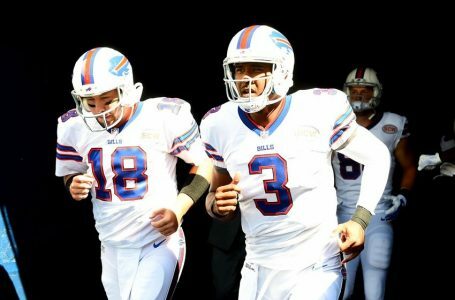 The Bills have created momentum of their own with a pair of victories, have a week of rest and a notably improved rush defense allowing just 93/3.5 for the season. Mini-upset no surprise to this bureau in a strong situational spot favoring the home team!